“Calm and Cosy” would describe your experience as you enter this space. Equipped with coffee station, fridge, and microwave. 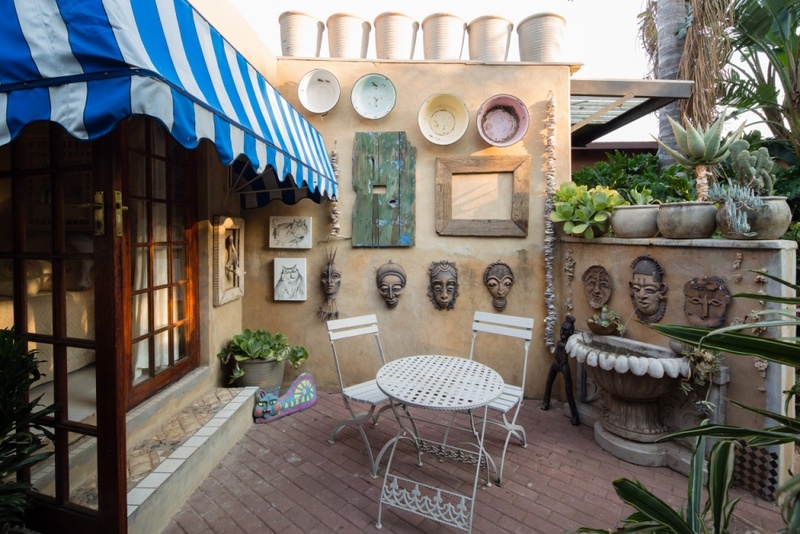 The private intimate quart yard guarantees a relaxed stay, knowing that your morning coffee or sun downers may be enjoyed in peace, while once again, you are surrounded by art and artefacts. Access to the pool and garden.